Are you using keywords in your Pinterest marketing strategy? I explain how to get started using keywords to drive traffic to your site. Pinterest is a very different type of social media platform. Other platforms are primarily passive—you allow the medium to show you what it thinks you want to see. Pinterest operates as a search and discovery tool like a search engine. Users utilize the search bar to discover content; Pinterest uses keywords to deliver the results the audience wants to see. Keywords are an important part of your overall Pinterest strategy. Next to the quality of visual images, they are absolutely essential for attracting your target audience. Your goal is to show up in the search results of the smart feed. Keywords will help you achieve that. Profile: This is the first place you should be using strong keywords to attract your audience to your profile page. Pin descriptions: Use this space to describe your pin using rich keywords. I recommend 2-3 keyword rich sentences followed by 3-4 hashtags. Board descriptions: Generously use keywords here, some that are both broad enough to reach your overall target and others that narrowly fit the board niche. Image file names: Save the image file on your website using keywords. For example, instead of image234.jpg, save the image as coastalbathroom.jpg. Pinterest will interpret that this pin is about a bathroom. Promoted pins: Keywords are going to be the valuable tool you use to reach your audience through promoted pins. 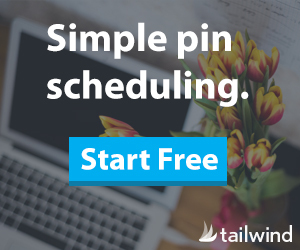 Choose 25 or more in promoted pins to market to your desired audience. 3-5 Targeted Hashtag- After my meeting with Pinterest Headquarters in the Summer 2017, they recommended using one hashtag (update: 3-5 is the current recommendation) in the pin description. They finally caved to all of the pressure from brands who wanted to see hashtags since they were used so broadly with other platforms. So, for instance, if your pin is about bathroom renovations- you might try #bathroomrenovation or #diybathroom. Pinterest uses a smart feed and, much like a search engine, ranks pin results based on pins that best match what the user is searching for. If you have a great recipe for pizza dough, but don’t describe the image in the pin description, Pinterest is less likely to display your pin in the results. Focus on utilizing these keywords in the areas listed above to communicate to Pinterest WHO you are and WHAT you pin about. The overall keyword cloud of your account will gain you higher traction in the Pinterest smart feed. Also, Google gives Pinterest results! If you rank well on Pinterest, chances are you will rank well with Google. Use those keywords wisely! Which Keywords to Use on Pinterest? A great exercise is to start with the tool itself. What words would a target audience use to define or describe your brand? Start by searching for those keywords (and potentially, your competition) in the search bar. Make a list of all of the other top keywords that appear. Study the resulting pins and identify keywords that are displayed in your smart feed. Do these keyword fit your brand? If not, start fresh and narrow down the best way for your target audience to reach your niche brand. For board descriptions especially, use a mixture of broad and narrow keywords. There is plenty of room and don’t worry about full phrases, just throw in all the keywords, separated by commas. In pin descriptions, practice writing good copy (but don’t overly stress!) that will entice the reader to click through on your pin. Use keyword descriptions like, “A gorgeous DIY farmhouse style shiplap tutorial that you must see.” Encourage engagement and use as many relevant keywords as you can. Consider using Google’s Keyword planner to find data on commonly used keywords in your niche! Explore and discover new ways to describe your brand on search and SEO. Of course, there are the things not to do! Don’t forget to use Pinterest descriptions on your images from organic pins. I see a lot of beautiful pins labeled IMG_01 which won’t get much mileage without keywords! Don’t be too specific or cute—use keywords that have real value and are recognized in your niche. Don’t over-keyword—using too many comes off as spammy and can actually hurt your SEO. I love your site, it’s so pleasant to see! Than you so much for this article it has been very helpful. Would you recommend putting hashtags on the Board descriptions? Or is that not relevant? Awesome tips! I had no idea about using the file name as part of my SEO. Thanks for sharing! I’m so glad that was helpful!